Man jewellery. It can be a sensitive subject. There’s so much rubbish jewellery out there it’s all to easy to screw it up and be left wishing you never bothered. Put simple, it’s no easy task sporting jewellery when you’re a dude. If it’s your first time and you’re unsure as to where you should even start, I think it’s best to play it safe. Simple, yet boldly designed jewellery at it’s very best will put you in the right place to sport a piece of jewellery that will give you the confidence you need. It’s the age old rule of less is best. Nothing too flash, too complicated or too detailed. Meadowlark Jewellery, founded by two inspired creatives & lovers are making huge waves both locally and internationally. With the likes of local girl Lorde and international superstar Rihanna wearing their handcrafted jewels. While jewellery for women is of plenty, it’s a hard find to see jewellers out there that take the time and effort to look at what can be done for guys. 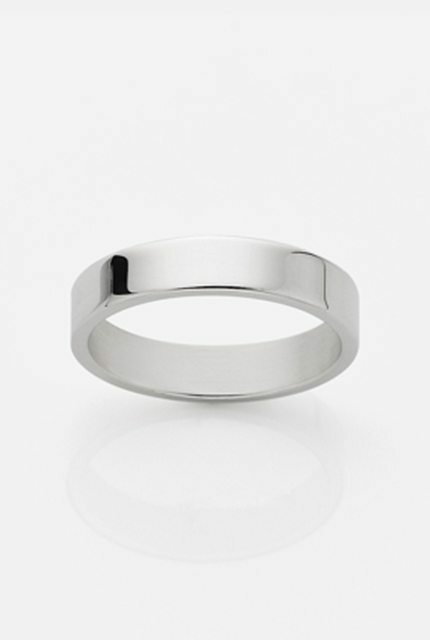 My favourite ring at the moment is the below 6MM Plain ring, but in silver. Gold is a hard colour to pull off for a guy, but nonetheless it’s not impossible. I tend to stick to silver, as I feel it’s less on show than it’s friend gold. The thickness of the ring is what really strikes me and gives what is your traditional rounded ring some edge. Try something like the above two rings. They’re a great, safe, yet stylish approach to the world of men’s jewellery. If you start here, you’ll get comfortable then you can begin to try other jewellery like these necklaces from Kiwi designers Culet Jewellery.